We ended up at Aasife Biryani, which the driver assured us had great food at a reasonable price. 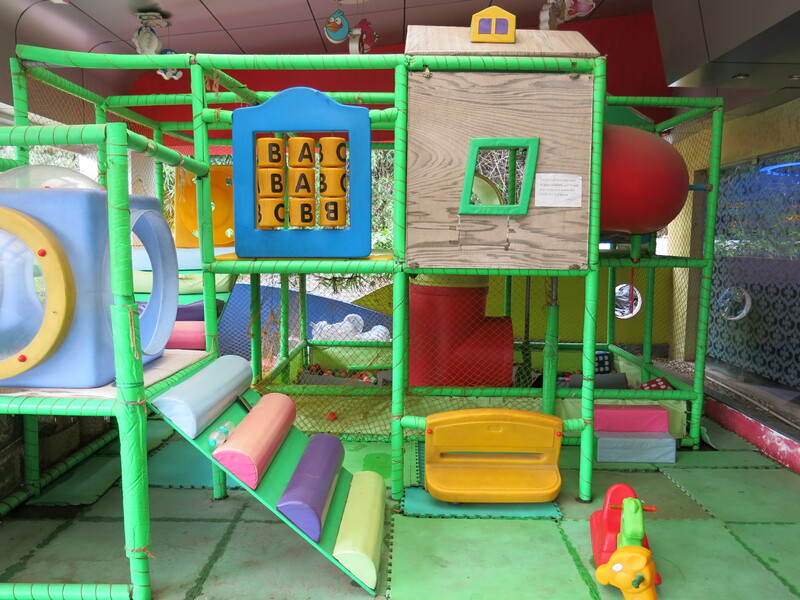 Some very reputable places are rarely frequented by women, but I was reassured by the sight of the first play structure I’ve seen at a restaurant in Chennai. I needn’t have worried on account of the food. It was delicious. Brianna ordered Chinese-style fried noodles with chicken and tucked away more of her dish than any restaurant food she’s eaten outside the hotel. My mutton masala with steamed rice was flavorful but not too spicy (I requested “mild”). The mango lassi (yogurt and mango smoothie) was superb, with a uniquely tangy flavor. All together, including a bottle of water, our meal came to just under $10. 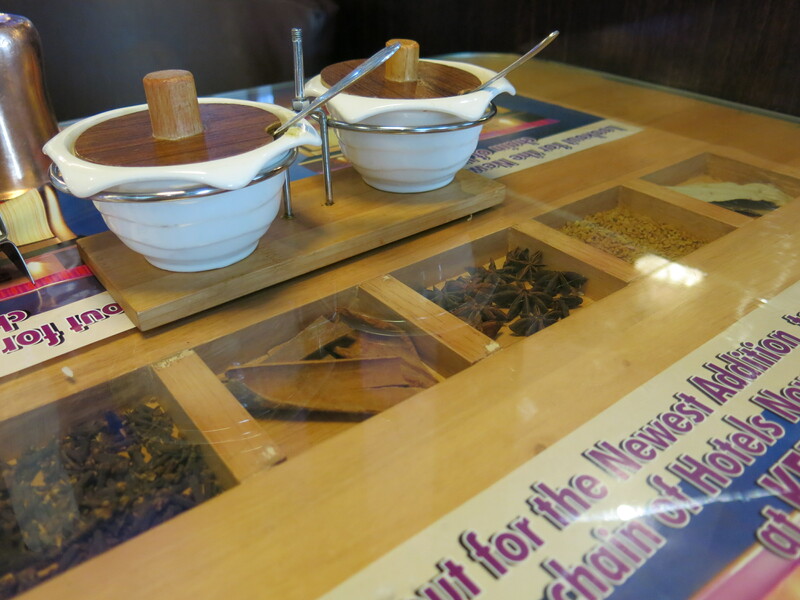 The setting was attractive and comfortable; the table inset with a row of ten spices added a craftsmanlike touch. When we first entered, around 2:00, we were surrounded principally by men. However, many of them cleared out before long and groups of women took their place, one with two schoolgirls in green uniforms. The little pot on the left holds a hot, tangy green chutney, and the one on the right a sweetish red chutney. Both quite tasty. Can anyone identify the second-from-the-right spice above (admittedly difficult to make out here)? Hint: I’ve only had it in Iranian and Indian food. It’s supposed to be quite healthful sprouted. 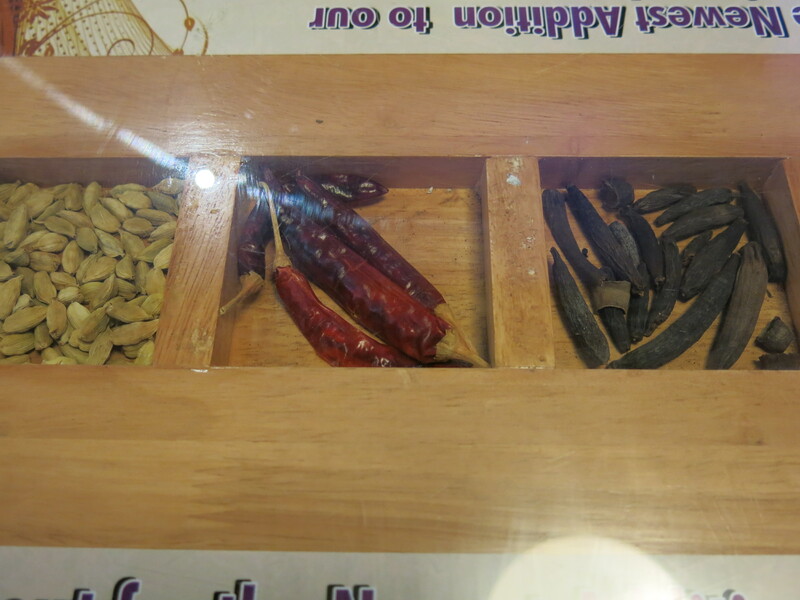 Assuming the spice on the left above is peppercorn (it’s a little crumblier than I’m used to–any informed guesses? 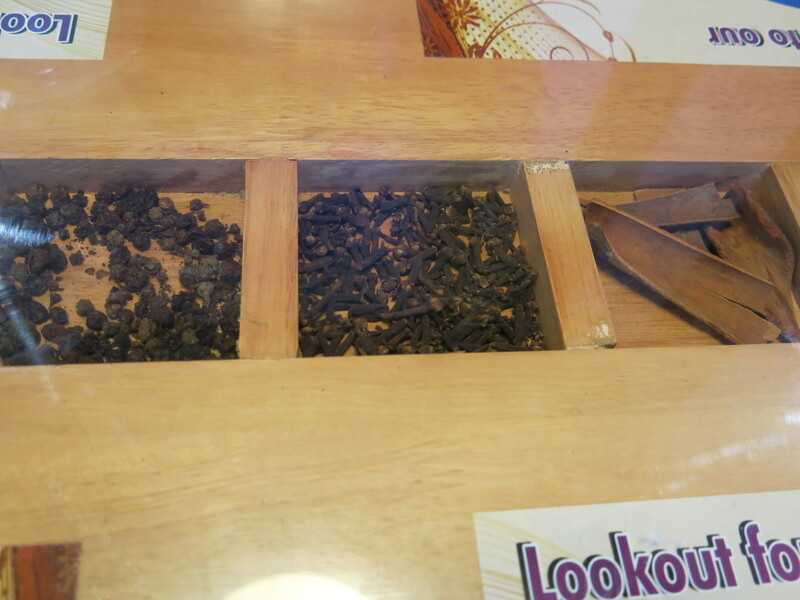 ), I was fairly certain of all of them except the spice on the right below. 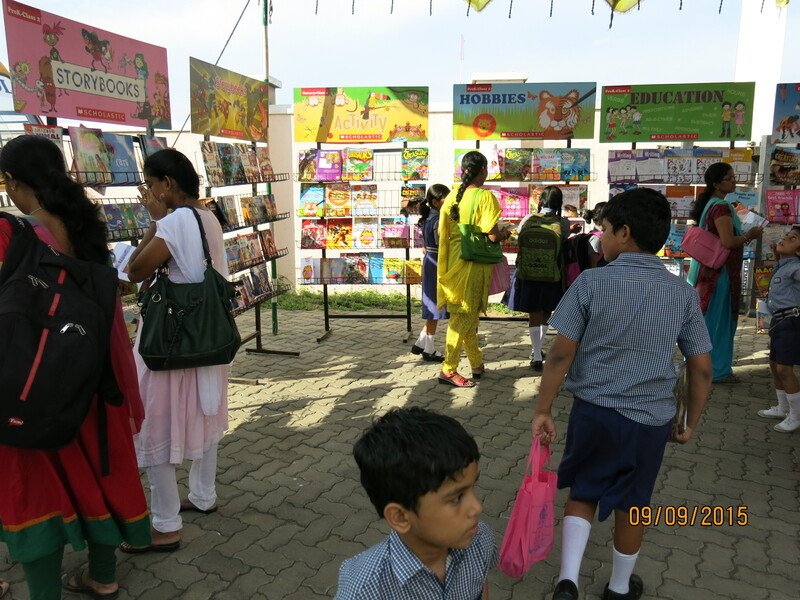 And now on to books … It never occurred to me that Scholastic might hold book fairs in India, too–and on parent-teacher conference days. Just like home. 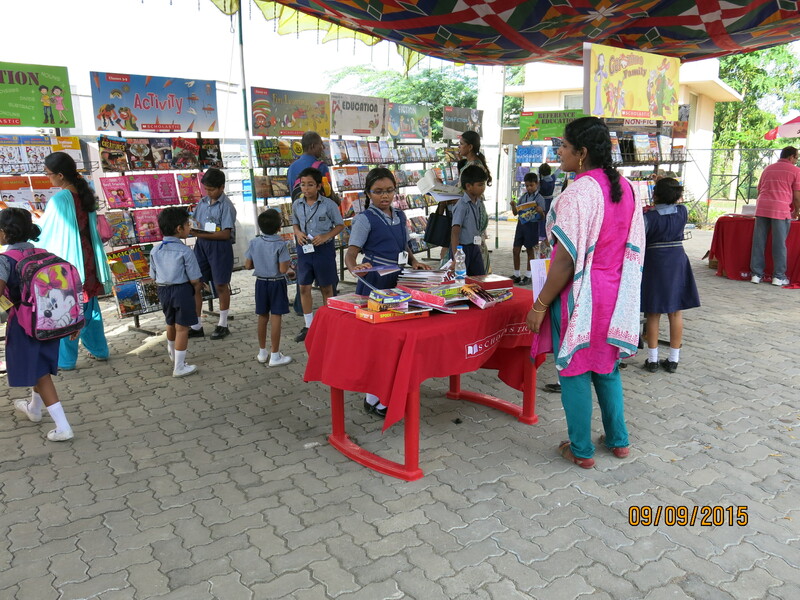 On Wednesday we visited some new friends and had the opportunity to drop in at the book fair at their son’s school. We bought The Mystery of the Nizam’s Jewels, below. 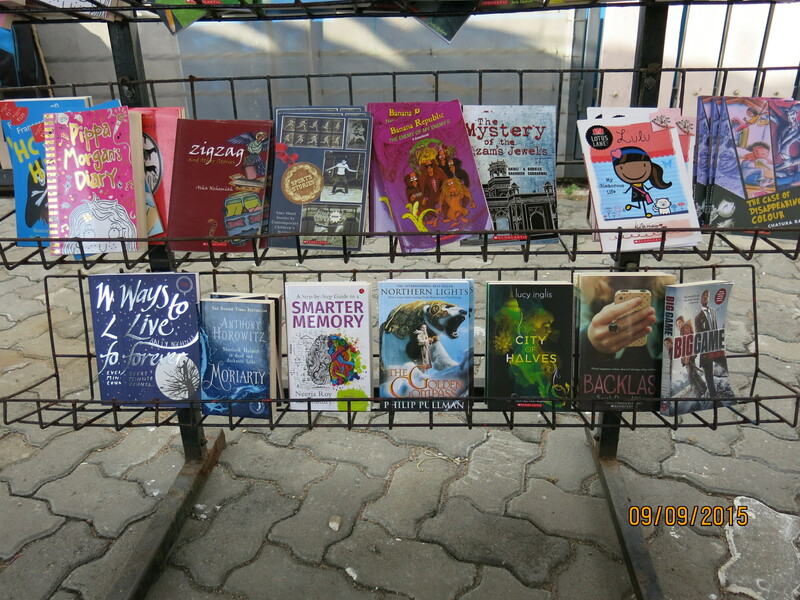 That, Zigzag, and The Case of Disappearing Colour seemed to be the primary fiction selections by Indian authors. A collection on Indian government. 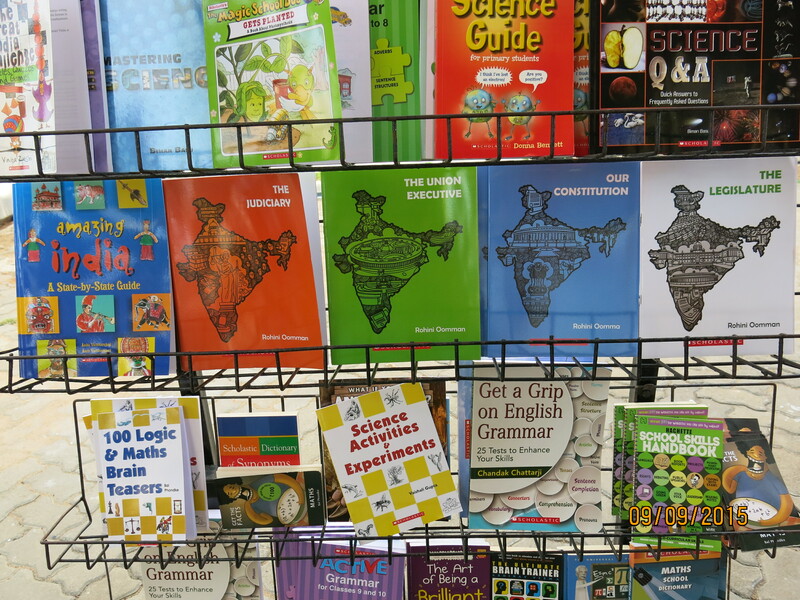 We bought Amazing India, with a nicely illustrated full-color spread on each of India’s twenty-nine states. 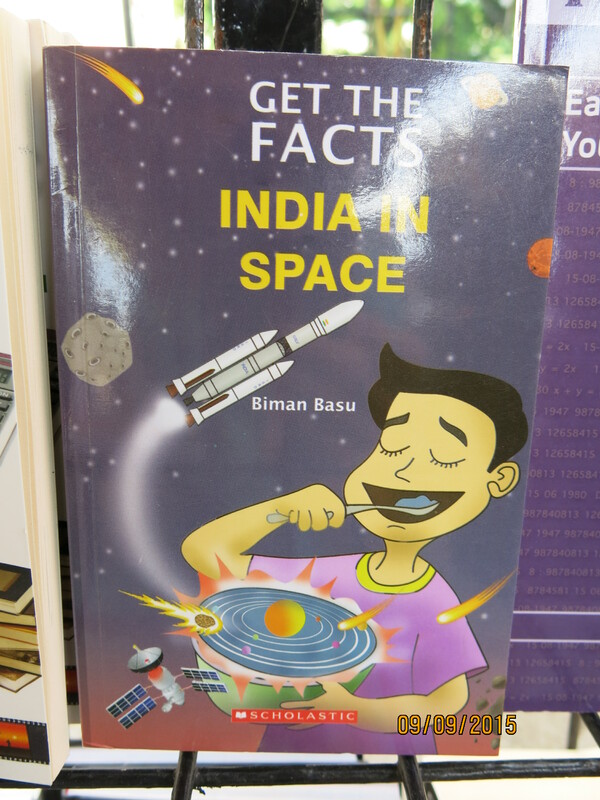 India in Space, below, caught my attention, in view of the book I had just been discussing with our host: NASA in the World: Fifty Years of International Collaboration in Space, by John Krige, Angelina Long Callahan, and our friend Ashok Majaraj. 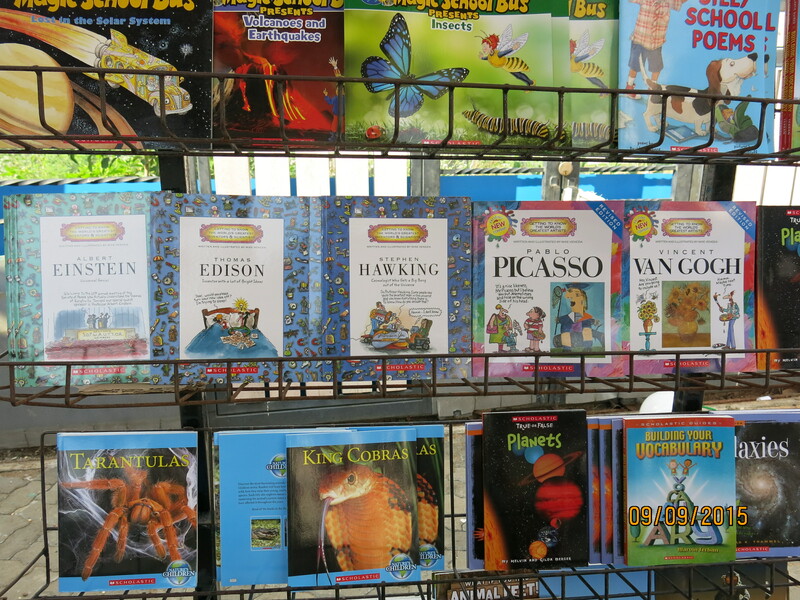 This entry was posted in books, Chennai, children's books, food, India, restaurants, spices, Travel and tagged books, Chennai, children's books, food, India, restaurants, South Asia, spices, Tamil Nadu, Travel. Bookmark the permalink. Wow–all that alliteration. I won’t even try to top that. … I guess I should have mentioned that it was a “motorcycle rickshaw,” also known here in India as an auto rickshaw or just “auto.” Stay tuned–I’ll try to find an excuse to post a photo before long … or you can just Google it. Brianna likes them–she says it’s like a carnival ride. 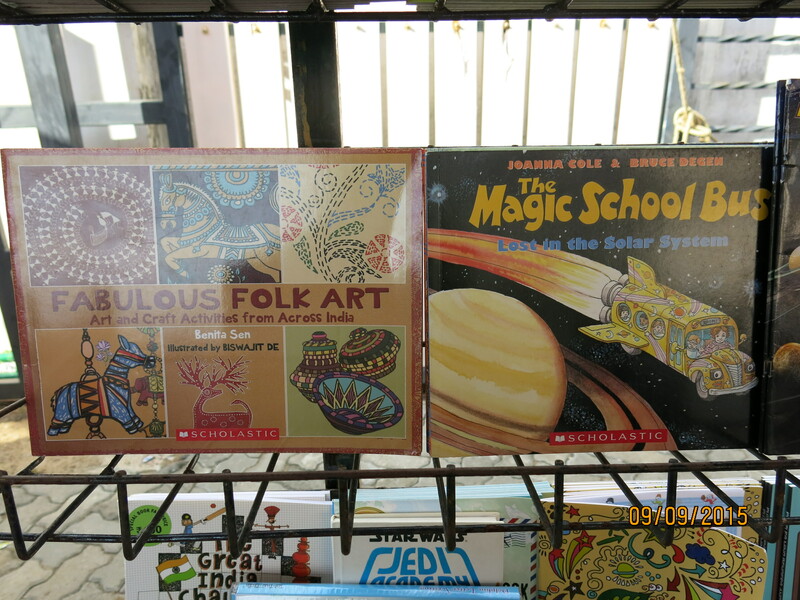 Delighted to see my book, Fabulous Folk Art, here. Although it has been well over a year that George and Roxanne Kent asked about the rickshaw pullers, may I try and answer that: Rickshaws are still manually pulled in the east Indian city of Kolkata (earlier known as Calcutta).